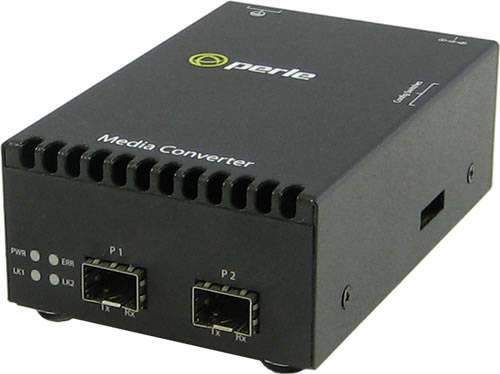 S-10G-STS 10 Gigabit Media Converter with dual SFP+ slots (empty). Includes AC power Adapter. SFP transceivers supplied by Perle, Cisco or other manufacturers of MSA compliant SFPs.